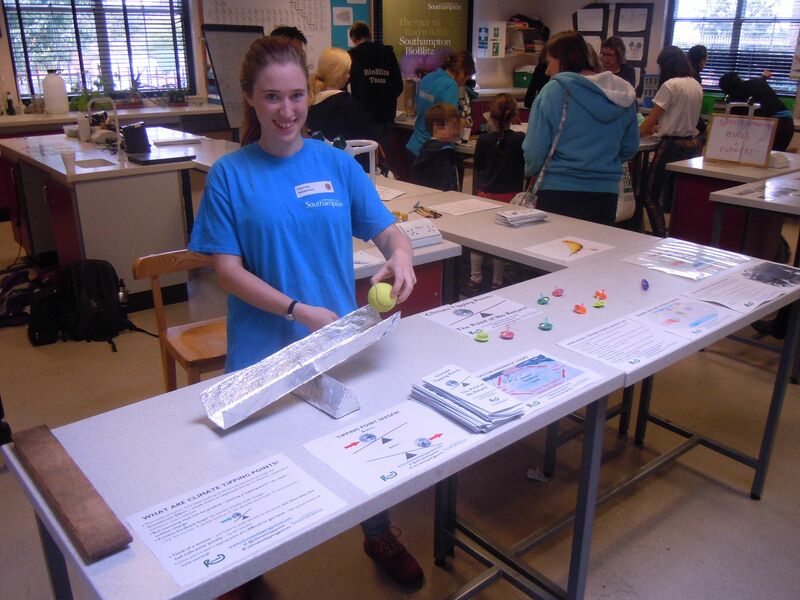 We had a great time at the Family Festival of Science at Thomas Hardye School on Saturday, talking to kids and parents about Climate Change and Tipping Points in the University of Southampton’s Nature and Environment section. Our Tipping Point Seesaw and Early Warning Spinning Tops went down particularly well! Thanks to all who visited our stall, and we look forward to our next public appearance this coming Friday at Researcher’s Café!